There will probably be no news coming from the Nuremberg Toy Fair due to Hasbro's beefed up security but we do have a new detail coming from Portugal since details regarding their offering of The Last Knight products were sent out today. TFW2005 member fallen_revenge translated the details that reveal a new class we had not heard of before: Armor Up Changers. These are the equivalent of three step toys which will have a battle mask gimick. No new images were revealed, that will have to wait until toy fair, in two weeks. The same news also stated that Portugal will only be getting 6 deluxes instead of the scheduled 12 deluxes already listed in North America. One other detail of note is that their offerings include 0 leader class figures as part of the main line. This was originally speculated due to the absense of that class in the listings found on Amazon. We do know we are getting a redeco of AOE Leader Prime but it seems to not be part of the main line, same with the Masterpiece Movie toys. Could it be possible that the Premier Editions do not count towards the main line? I guess we'll find out soon enough. JelZe GoldRabbit wrote: Could it be possible that the Premier Editions do not count towards the main line? I guess we'll find out soon enough. I guess that depends on how you define counting. The new Premier molds will most certainly be in the same style as the rest of the new figures in the line, but the packaging for the main line will probably be closer to the traditional stuff. I'm thinking we'll see the Deluxe Premier stuff officially announced just before Toy Fair (on Facebook or a random online magazine as they've done in the past) with the real line being previewed at the show. What I want to know is if they'll still release Barricade in the main line? There's nothing particularly exceptional about his paint, articulation, or transformation from what we can see. Doesn't seem like it would be the same case as Prime First Edition versus the simpler main line. Since the Premier line will probably cost more it would be nice to have a cheaper alternative. No leader class? I wonder why. Is it because Hasbro has placed budget cuts for the TLK toylike, or because Hasbro has placed most of its budget on role-playing helmets and simple One-Step and Three-Step Changers? To those wondering about the Premier Editions, this is just the new name for Movie Generations, now that the Generations Prime Wars line will continue concurrently with the movie figures. People are misreading 'Premier' as 'premiere' and assuming they're a kind of first edition. There are listing for figures using code names of Amazon.com that are labelled 'Gen', but on Amazon.ca the same listings are labelled 'Pre'. 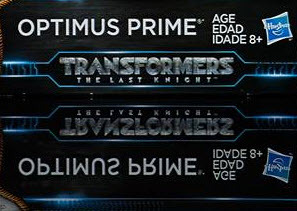 Also when Shadow Spark Optimus and MPM Bumblebee were revealed at the event in Hong Kong the Hasbro marketing rep stated that Premier Edition is the 'movie accurate' line. They count, for sure. That first wave we found matches up with the listings of the mainline we found on amazon a month ago, with the first wave being 4 characters where one is Bumblebee. I have no clue why they have to bother with the edition conotation, especially sicne the paint isnt premium and the name reffers more to the fact that these are released first instead of how they have superior quality. OptimalOptimus2 wrote: No leader class? I wonder why. Is it because Hasbro has placed budget cuts for the TLK toylike, or because Hasbro has placed most of its budget on role-playing helmets and simple One-Step and Three-Step Changers? Maye they saw that the leader class doesnt sell too well and chose to instead concentrate on items that sold better and have better margins. There will be Leader figures. Shadow Spark Optimus is Asia exclusive, but from previous info http://www.tfw2005.com/boards/threads/the-last-knight-figure-listings.1096474/page-4#post-14238517, there will be others. No idea if they'll be exclusives or repaints only. Remember, this is info regarding Portugal only. On Amazon there are 12 deluxes and 6 Voyagers listed, so already more than's described here. See my previous comment re it being Premier and not Premiere, and how it's the replacement for Movie Generations. Yeah, they're definitely not Platinum Edition quality but I'm guessing the label is used to distinguish the 'traditional' line from the simpler figures and encourage collectors. So what distinction are we trying to draw here if the word means "First" that is all I can really infer from it. As has been previously implied there is nothing about these $20.00 deluxes that screams platinium or premium quality here. they seem to simply be out first. But i'm still not sure if the first 4 or 6 deluxes will be boxed then they will change to carded toys - or if the whole line looks like this. I'll tell you right now i'm not buying that repaint Bumblebee for £15.00 let alone for £20.00 I'm happy to buy a darker toned Slash or The dread or barry for £12.00 to £15.00 if I'm feeling the need to buy something in a few months. But frankly It would be a better use of my money to spend that money on Takara movie toys. (especially Starscream and Ratchet) not to mention a lot is happening soon in 3rd party and premium-KO's that are a better bang for my buck. But i'm fond of barry so I'll likely get him as soon as is reasonable. I do wish they'd reissued dlx Soundwave though as he's a tricky fella to get in deluxe from - I can understand why they'd not do Dlx leadfoot due to expense of renewing the NASCAR licence - and he is supposed to be getting KO'd soon anyway in his unreleased sponsored deco to boot- so that is less of an issue. I dont even know why anyone would buy that bumblebee if they already have a previous BB using the ROTF design since that is basically what this one is going back to. There are quite a few meanings for premier, and I'm guessing the ones Hasbro are going with are 'top-tier', 'highest', 'second to none' and of course 'prime'. It means 'first' but in the sense of rank or status etc. rather than first chronologically. Premier and premiere did originate from the same word, but they've gained slightly different uses. Kind of how skirt and shirt came for the same Norse word. The hotel chain Premier Inn isn't claiming to be the first ever hotels, but rather the best; the Premier League is the the football league for the top tier clubs. Obviously Hasbro is really exaggerating the quality here, but I suppose compared to the one steps these are the best. "one of Britain's premier chefs"
"he holds the premier barony in the UK—created in 1269"
a prime minister or other head of government. (in Australia and Canada) the chief minister of a government of a state or province. I can't see they'd be boxing the first wave of deluxes but not the rest. I'm guessing they're doing that to further distinguish them from the simpler figures. The AOE deluxes and power battlers got very easily mixed up on the pegs. Oh I get it now, its to distinguish from other more simple figures. That makes sense since it wasnt always obvious with AOE (like Strafe). Galva Prime wrote: To those wondering about the Premier Editions, this is just the new name for Movie Generations, now that the Generations Prime Wars line will continue concurrently with the movie figures. That can't be the actual reasoning since Generations Age of Extinction ran concurrently with Generations Thrilling 30 in 2014. More likely they're just trying to avoid any possible retailer confusion this time around since it was a bad idea already the last time. I have this horrible thought despite the sales figures showing the "Generations" line is pretty popular that they might throw all 3 other mainline under the bus for what seems to be a line of partial repaints. The really tragic thing is they had a real chance to redeem themselves here with something like a new mould really good 1970's Bumblebee Deluxe. I'm frankly kind of perplexed what they are going to put in the "Legends" class movie toy releases. Squeeks certainly - but what else ? Now if it was me I'd be using the excuse of the 10th Anniversary and making smaller toys of Wheelie, Brains, Igor, Frenzy, The Kitchen Crew, even Alice. For example they never made a Bunny-bot toy or Frenzy as a Mobile phone. If they just make the same characters as usual in a smaller size I really won't see the point of that. It would be fine for a gimic subline for example the scout size RID toys with Minicons and armour if they made something like that only with Movie characters - I'd be up for that. Anyone got any ideas what they might do with the Legends class (movie) line? as I'm perplexed. It says "Autobots Stobotua", or just "Autobots Autobots" with one upside down. RAR wrote: Anyone got any ideas what they might do with the Legends class (movie) line? as I'm perplexed. I imagine they'll just pad it with small versions of the movie cast just like every Legends (and Cyberverse) line before it. This isn't going to be like the Scout class from the earlier movies, this is going to blend a lot of different sized characters into one line. Yes that would make total sense for "Legion" class but for "Legends" not so much. I'd rather have Legions in some case as the scale would make more sense - but Legion Dinobot would be nice - but then so would Legends. If they did both sizes and treated the Legends class like Cyberverse Commander Class then I'm a happy pussycat (so to speak) . Since when does scale ever make sense in Transformers. After all the first two post-Legion Legends were Optimus and Bumblebee at the very same size. I don't really see any reason for that to change now.